My two children, currently aged 13 and 7 1/2, have a dad who is a Type 1 Diabetic. He also has End Stage Renal Disease (ESRD) requiring dialysis, as well as a heart condition which necessitated he be given an Implantable Cardiac Defibrillator (ICD). Phew! Lots of big words. Details for adults, really. All kids really care about is that Daddy has health problems and sometimes he has to be in the hospital. Also, sometimes at home, we have to call 911. We recently got our daughter (the teenager) into counseling. We thought to help her better manage her ADHD as pertains to school. Not surprisingly, Camryn spoke to her counselor about her dad too. The counselor told us that Cami has some anxiety about dealing with something happening to her dad when I'm not around. Like if I go out with friends, or if she goes out with my husband to run errands. Camryn likes to go out with Mark just the two of them because she gets to sit in the front seat. That, and I think she genuinely likes to be helpful to her dad. 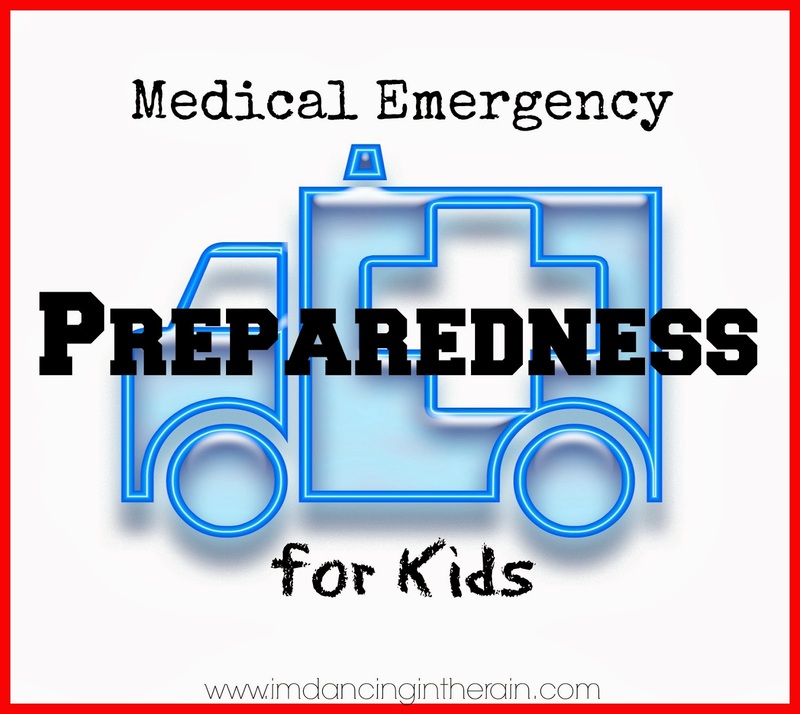 The counselor suggested that we could help alleviate Camryn's worries if we all sat down as a family and discussed exactly how to handle possible medical emergencies that can come up. Not only to discuss, but also come up with PLANS. Or specific instructions. Obviously that's something we should do. I mean, of course, right? Sometimes you don't know if something is a good idea until an outside source points it out. So we did it! I typed up an instruction sheet, and then the four of us sat down and discussed it. If Dad seems weird, suddenly yawning a lot, not finishing sentences, getting sweaty, begins acting kind of goofy or loud, or if he’s sleeping and you can’t wake him up, maybe his blood sugar is low. 1. Try to find and suspend his insulin pump. 2. Call me. ___-___-____. If I answer, I will try to help you help him. If I don’t answer, go on to #3. 3. Grab a phone, any phone, and dial 911. - Tell them what is happening, that your dad is Diabetic and you think his blood sugar is low but you can’t help him. - Our address is __________________________________. - They will give you instructions. Follow them. - Firefighters or paramedics will come and help Dad and he’ll be OK. If Dad is unconscious (eyes closed, you can’t wake him up) for any other reason that does not seem to be low blood sugar, just call 911 right away. Then call me. You can go get a neighbor you feel comfortable with. BE SURE NOT TO LOCK YOURSELF OUT! If you’re in a store or any business with Dad, grab him a snack or drink, &/or try to ask someone who works there for help. You can try to fish Dad’s phone out of his pocket and call me. Try to get Dad’s phone and call 911, look around for a woman who can help you, call me. Try to not be scared. Try to stay calm. There is always a way to get help. *If interested, HERE is a link to a Google Drive copy of the above. If you have a similar situation to ours, you could use ours as an example, but customize it to your specific circumstance. The reality is that my kids' dad could have a serious medical emergency at any time. This is something I felt was best to do for my kids. Other families may handle it differently. Obviously, the older they get, the easier it is to educate them about these things. For now, I feel a little better knowing we've talked about it all, and maybe they feel a little more empowered.